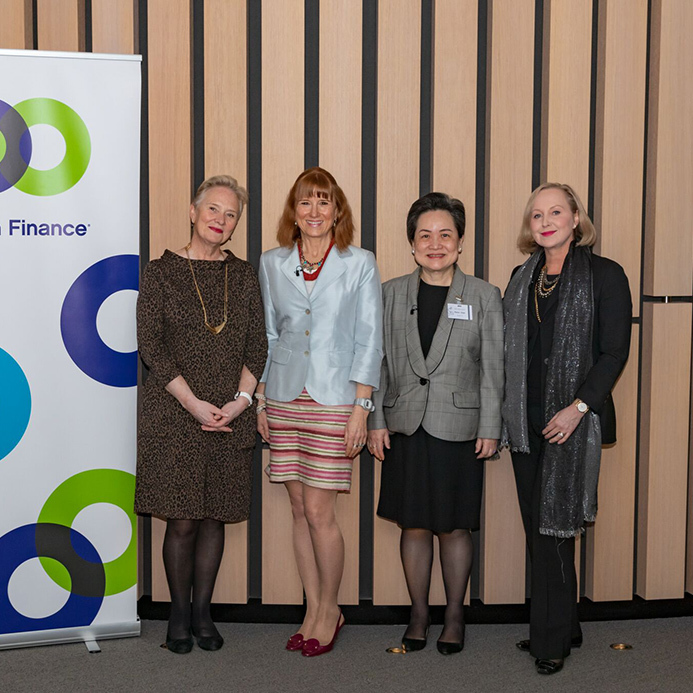 March 27, 2019 (London) – Yesterday, 100 Women in Finance’s (“100WF”) 1000th education event since its founding in 2001 took place in London. The event, titled, “Leadership for Success” was hosted by UBS and was attended by approximately 250 members of 100WF and their guests from the financial services industry. UBS is a member of 100WF’s Leadership Council. 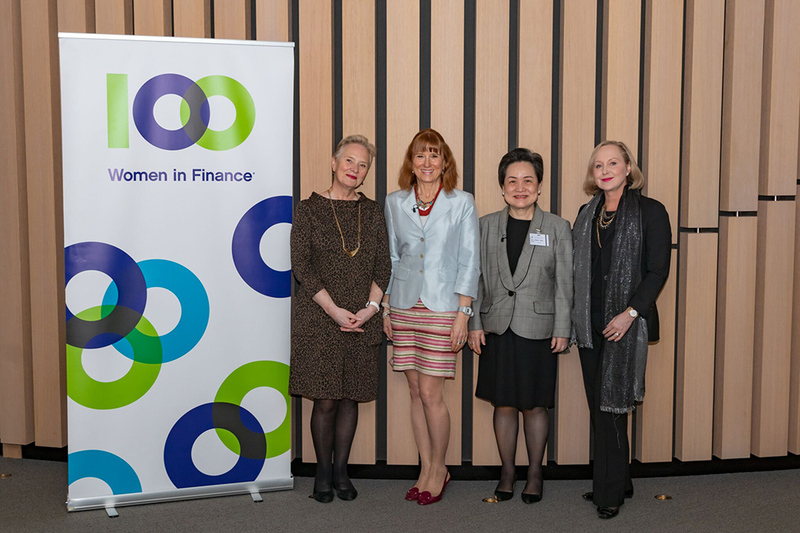 The session featured a moderated panel discussion between Ann Cairns, Vice Chairman, Mastercard, Diana Chan, Former Chief Executive Officer, EuroCCP, and Eva Lindholm, Head of Wealth Management UK and Jersey, UBS. Susan Payne, Chief Executive, Holistic Agricultural Investments Group Ltd, Africa and Executive Chairman, Emvest Agri Corp Ltd, Africa, moderated. Drawing on examples from their own careers, the panelists reflected on pivotal leadership events and constructive risk taking through predictable and unexpected challenges. They also discussed how formal policies and smart practices can advance women’s careers and drive organizational success. This hallmark 100WF event represented both 100WF’s Education pillar and its strategic priority to make more publicly visible the achievements, expertise and insights of prominent female finance industry executives and investment professionals. 100WF works to build awareness of such women to help inspire the next generation of female finance industry professionals toward goals and roles that reflect their talents and ambitions. Inquiries may be directed to media@100women.org.